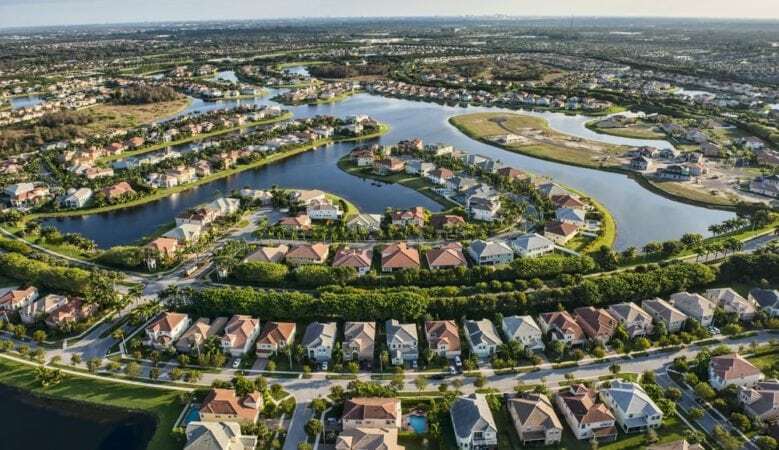 Home sales in the United States look set to flatten in 2019 but prices are expected to continue rising with the market remaining stable, according to the latest forecast from real estate agents. The national median existing home price is expected to rise to around $266,800 in 2019, up 3.1% from this year and to $274,000 in 2020, according to the outlook report from the National Association of Realtors. But chief economist Lawrence Yun expects home price growth to slow. ‘The days of easy price gains are coming to an end even although prices will continue to rise, he said, adding that the forecast is dependent on more new homes being built. ‘All indications are that we have a housing shortage. If you look at population growth and job growth, it is clear that we are not producing enough houses,’ he explained. He also pointed out that overall some 90% of markets are experiencing price gains while very few are experiencing consistent price declines and 2017 was the best year for home sales in 10 years while 2018 is only down 1.5% year to date. ‘Statistically, it is a mild twinge in the data and a very mild adjustment compared to the long-term growth we’ve been experiencing over the past few years,’ he added. With a few months of data remaining in 2018, Yun estimates that existing home sales will finish at a pace of 5.345 million, a decrease from the 5.521 million in 2017. In 2019 sales are forecasted to increase to 5.4 million, a 1% increase. As to the possibility that the market could be currently experiencing a small bubble, Yun said that is not the case. ‘The current market conditions are fundamentally different than what we were experiencing before the recession 10 years ago,’ he explained. ‘Most states are reporting stable or strong market conditions, housing starts are under producing instead of over producing and we are seeing historically low foreclosure levels, indicating that people are living within their means and not purchasing homes they cannot afford. This is a stronger, more stable market compared to the loosely regulated market leading up to the bust,’ he added. Yun also pointed out that the market is experiencing historically normal levels of affordability, although potential buyers may be staying out of the market because of perceived problems with affordability. ‘NAR research shows that a lower percentage of consumers think that now is a good time to buy, while more are indicating that it is a good time to sell. Problems could arise if the market is flooded with too many sellers and not enough buyers. Fortunately, that does not appear to be the case, as indicated by months’ supply of inventory at below five months,’ Yun said. Commenting on the overall health of the U.S. economy, Yun noted that there is low unemployment, record high job openings, historically low jobless claims, job additions for eight straight years and wages beginning to increase. ‘This type of activity in the economy should support the housing market, even as interest rates rise,’ Yun concluded.